In human languages, poetry can elevate our consciousness,a magical realm and a world of immense bliss. Inherent in each poetic verse is a glorious musical note, a resplendent painting, and a sight of nature dancing in the infinite universe. The Jeweled Verses is a collection of timeless poems by celebrated Aulacese poets (such as Cung Tram Tuong, Doan Phu Tu, Hoang Ngoc Chau, Ho Dzenh, Huy Can, Luu Trong Lu, Nguy Ngu, Nguyen Sa, Nguyen Dinh Toan, Nguyen Duc Son, Pham Thien Thu, Quang Dung, Thai Can, and Tham Tam) who have offered the world their magnificent verses. 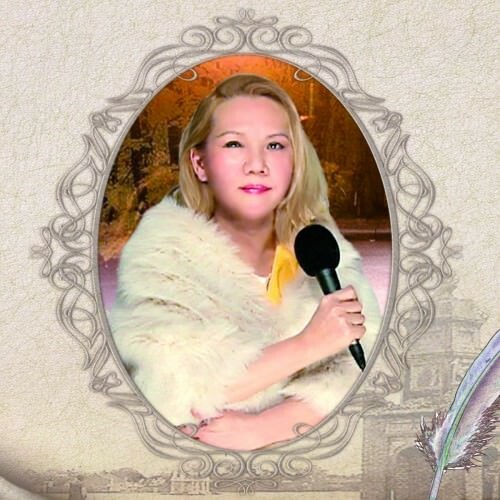 In The Jeweled Verses, we will have the blessed opportunity to enjoy the gentle, silken and elegant reciting voice of Supreme Master Ching Hai. From these treasured verses of old, Supreme Master Ching Hai is sending Her eternal love to those souls that appreciate Truth, virtue and beauty, inspiring countless people to rediscover their inner source of Light. Poetry and music are the sounds resonating from benevolent souls, although at times relaying sorrow and discontentment, grief and misery. Ultimately, poetry and music are forever a refreshing stream that nourishes humanity, nurturing dedicated spirits and noble ways of life. Conveyed through the genuine, heartfelt and loving reciting voice of Supreme Master Ching Hai, renowned poems of past eras are the refreshing stream that permeates the heart and soul of humanity, awakening the spirit within each of us, within those who are struggling in times of bleakness and bewildered in a turbulent century.